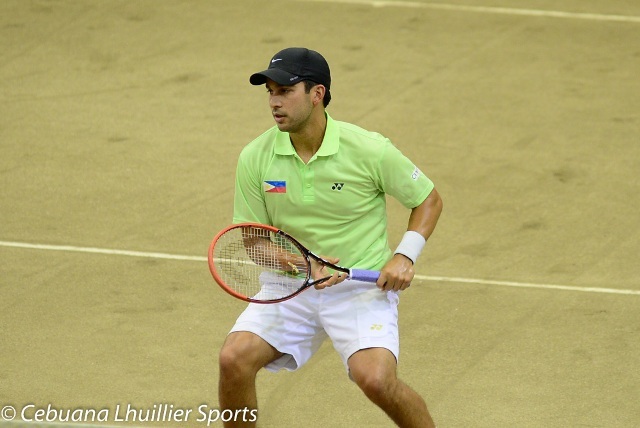 MANILA, Philippines — Treat Huey and British partner Dominic Inglot face Kevin Anderson of South Africa and Jonathan Erlich of Israel in the men’s doubles second round of the Aegon Championships, a major tune-up event for Wimbledon. As sixth seeds, Huey and Inglot took a bye to the next round to face the 6-foot-8 Anderson, who is No. 18 in the world in singles, and former world No. 8 Erlich. Anderson and Erlich downed Matthew Ebden of Australia and Mariusz Frystenberg of Poland, 6-3, 6-4, in the opening round. Huey and Inglot, whose best Grand Slam performance was reaching the quarterfinals in the last Australian Open and the 2013 US Open, are looking for their first title this year after reaching the semifinals in Acapulco. But the draw doesn’t look bright for Huey and Inglot as they are set to collide with top seeds Mike and Bob Bryan of the United States in the quarterfinals. But the draw doesn’t look bright for Huey and Inglot as they are set to collide with top seeds Mike and Bob Bryan of the United States in the quarterfinals. The longtime tandem from University of Virginia reached second round in the French Open last week. Huey is currently No. 26 in the world in doubles after reaching a career-high of 20 in March, while Inglot is now No. 22.